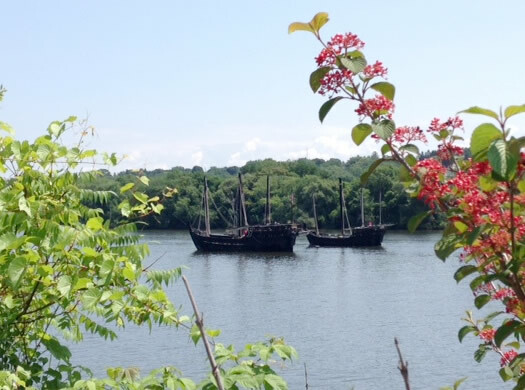 If you were down by the Hudson River during the first part of this week you may have see these: the Nina and the Pinta (you know, like Christopher Columbus). The replica ships, owned and operated by the Columbus Foundation, are based in the British Virgin Islands. 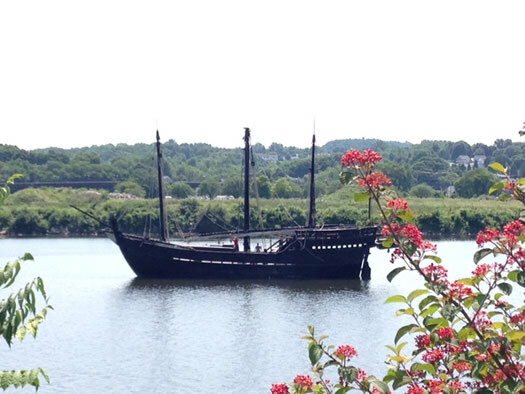 The ships were in Newburgh over the weekend, sailed by Albany Monday and Tuesday they were in Troy. Crew member Jamie Sanger says they stop in the Collar City for maintenance. "We stop in Troy every year to have a crane pull the masts out so we can get under the bridges. Then when we get to Oswego we can put them back in. We won't stop in Newburgh again for another few years, but we'll be sailing past Albany and stopping in Troy again sometime around June of next year." Sanger says the Nina was built first, about 25 years ago, and is an exact replica. 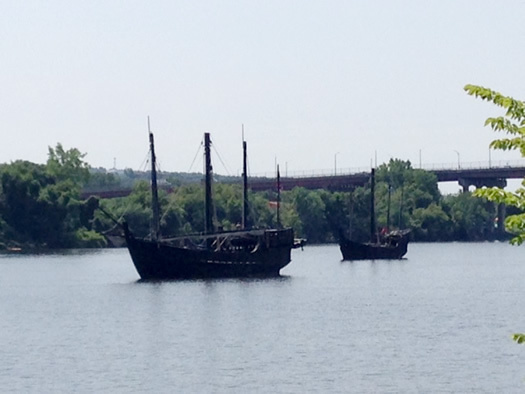 About 15 years ago they built the Pinta, which is slightly larger than the original ship. The most common question he gets is: "Why is there no Santa Maria." The answer: it would be too large and most ports they stop in only have room for two ships. The ships will be docked in Amsterdam at Lock 12 until 8 am on Wednesday if you're interested in getting a closer look. Then they head to Rochester, where they'll be docked for tours through Sunday. The photo above is courtesy of Jaime Walton from Silver Fox Salvage in Albany. A few more from him are after the jump.